PTE Academic is a computer-based test which assesses the Listening, Reading, Speaking and Writing abilities of non-native speakers of English who need to demonstrate their academic English capability - often to obtain admission at English-speaking universities, higher education institutions or as proof of their language ability for a visa application. PTE Academic is accepted for student visas & immigration in Australia & by Universities in New Zealand. Immigration New Zealand now officially accepts the Pearson Test of English Academic(PTE Academic) for student visa purposes. PTE Academic is the world's leading computer-based test of English for study abroad and immigration purposes. It is approved by the Australian government for all visa applications and accepted by thousands of institutions in the UK, Australia, USA, Canada, New Zealand and Ireland, including Harvard, Yale and INSEAD. You can register for the test online or by phone. These scores are valid for a period of 2 years. 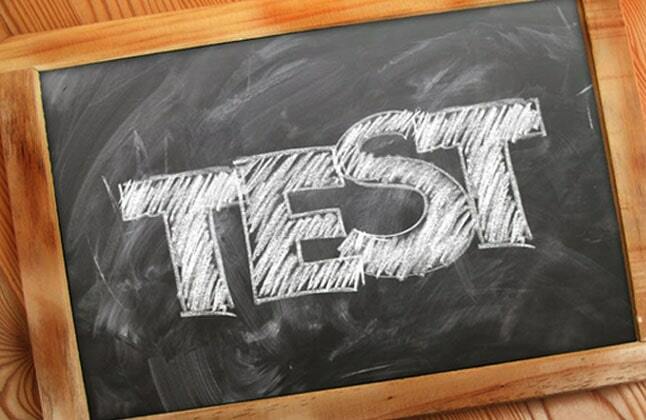 The PTE is a 3 hour test and consists of three main parts, Speaking and Writing, Reading and Listening. There are twenty different question formats that range from multiple choices to essay writing and interpretation of information. PTE Academic assesses real- life, academic content, so you will hear excerpts from lectures, and describe the graphs and charts that you see. You must be at least 16 years of age. If you are 16 or 17 years old, you must provide a signed parental consent form before taking the test. You can take PTE Academic as many times as you like. This means that institutions will not be able to see if your scores are better or worse than the previous tries. You must however, wait to receive your scores before you can book your next test. Yes, each section of the test is individually timed. You will see a timer in the top right corner of the screen counting down the remaining time. PTE Academic is accepted by thousands of universities worldwide. It is also accepted for visa purposes by the Australian government. You will not be allowed to take the test and you will lose your test fee. If you made a mistake when registering, please contact the Pearson customer support before your test day. Typically, PTE Academic results are available in five business days. Yes, however there will be a fee charged at the time. You may receive a partial refund if you cancel your test before the appointment date. "It was a great learning experience with you. You have good and in-depth knowledge and you are able to understand each and every student and how to give them specific coaching to help them progress. Your coaching helped me achieve 89-90 marks in Pearson in all the topics. I am really grateful to you and thanks for your support and guidance."